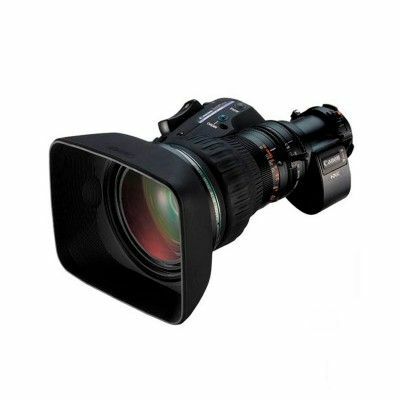 The Canon KH21EX5.7 IRSE 1/2" Portable Telephoto ENG Lens is a telephoto portable HDTV production lens within the 1/2-inch image format sector of the HDgc family. This particular lens is intended for producers and broadcast and cable news photographers that have a high priority towards the ability to shoot over long distances combined with reasonably wide angle capture. 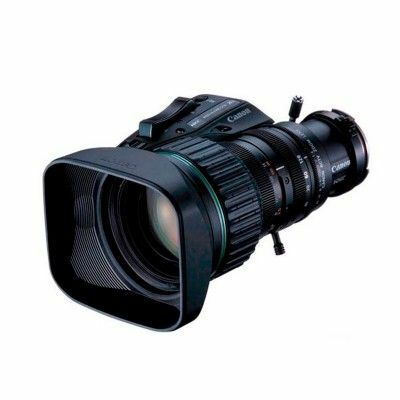 The KH21ex5.7 offers focal lengths up to 120mm (or 240mm with extender) and a wide-angle of almost 63 degrees horizontal.